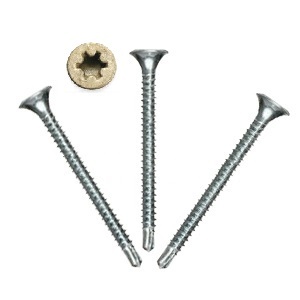 For fastening 3/4" subflooring to medium-gauge steel, 16-18 gauge. No predrilling. Drills steel without lifting wood.